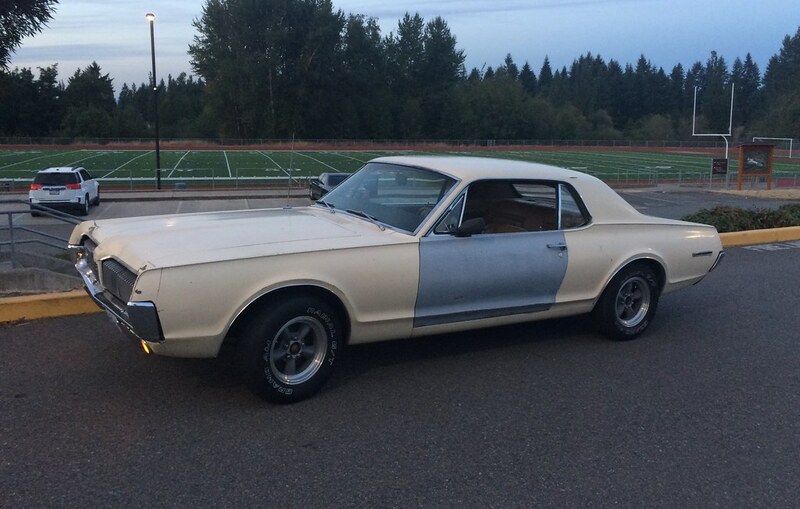 My Pop bought this 67 back in the late 70s(probably 78ish). He was in the used car business and came across many cars back in the day. He had a soft spot for Ford products, and always seem to hang on to a couple of Mustangs and/or Cougars. My Mom drove a 69 351 Mustang convertible for many years, and the Family had a green 70 XR7 convertible for several years as well. I'm not sure what the appeal was for this standard model 67. It was pretty clean, but had been repainted yellow(from the original tan/beige color). It's just a standard model with a 289 4V, automatic, and factory air conditioning(non functional at the moment). I drove this car in the late 70s/early 80s a bunch, until I join the Marines in 1983. After that I don't know the history of it, until 2000 when my Dad passed away. When I went to clear out his garage and house, I found it tucked away under a pile of junk in the back corner of an underground garage(damp garage at that). after talking with a few of his friends, I found out the car hadn't been run in about 17 years. I spent a couple days changing fluids, installing some tune up parts, and a battery. Got it running but the exhaust was completely rusted away, so I drove it down to the local muffler shop and had a dual exhaust setup installed(originally a single muffler car). Anyhow, I drove it home about 60 miles, and parked in the my garage, for another 15 or so years. Wife and kids took priority, so there it sat. This Spring, my nine year old son started nudging me to get it on the road. Move forward to July, we cleared out some crap surrounding the Cougar and started tinkering. A charge to the battery and a couple shots of ether, and she fired right off! Unfortunately, the rear brakes were frozen, and the car wouldn't budge. I ended up replacing most of the hydraulics and the rear shoes. The car has had plenty of bugs since July, but we're fixing it bit by bit. Got it licensed and insured and had on the road for at least 250 miles now. As stated earlier, I don't know the history of it after I went into the service. At some point, a large tree branch fell on the roof and left a few wrinkles. Also, it's unknown to me why the door is in primer and the mirror is gone. My mom doesn't have any answers. 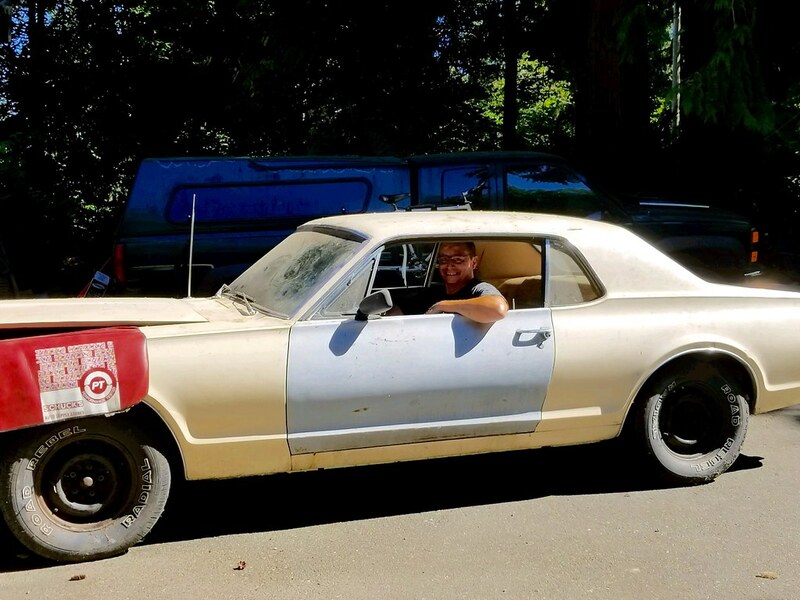 The 67 is rusty and needs a ton of work, but my son thinks it's the coolest car ever. That makes me smile..
and this week after finding some tires and wheels on Craigslist. Love the wheels - car looks great! Could you share the VIN and door tag info? 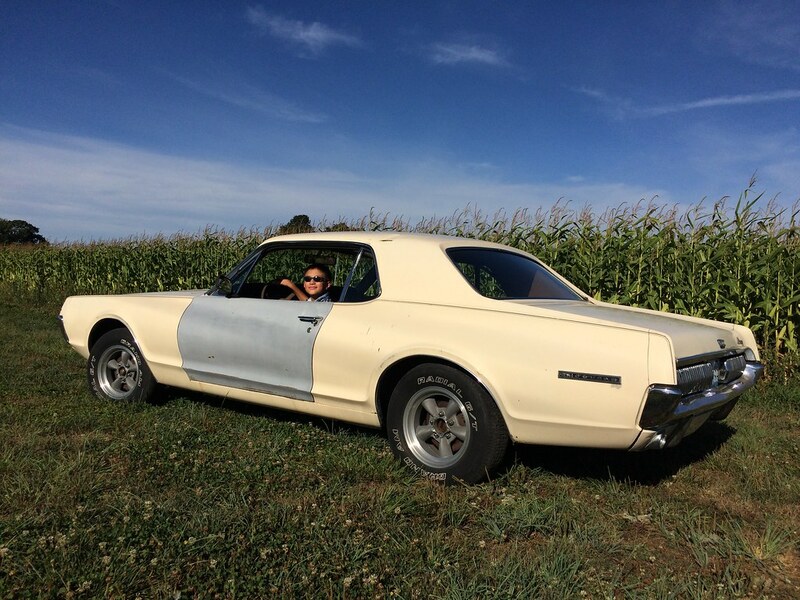 The 67 is rusty and needs a ton of work, but my son thinks it's the coolest car ever. That makes me smile..
You said it brother. Perfect reminder on a very important aspect of this old car thing: if we can't engage the NEXT generation, most of these cars die with OUR generation. Sure: restored cars will be preserved in a private collection, but marginal cars will become one with the earth. Thanks! The wheels and tires were a great find. Only $200 on Craigslist, with lugnuts and center caps. I had to drive a ways to get em, but it was worth the trip. Last edited by Roger M on 17 Sep 2017, 11:20, edited 1 time in total. Thanks for that, R Code. Yep, the next Gen is definitely engaged in this. He is a motorhead at nine years old.